The end of the summer is approaching, but there’s still plenty of time to get started on watching some of the best television box sets from across the pond. If you’re looking for a way to make the most of our longer days, then head on over to Sky: the home of drama this Summer. 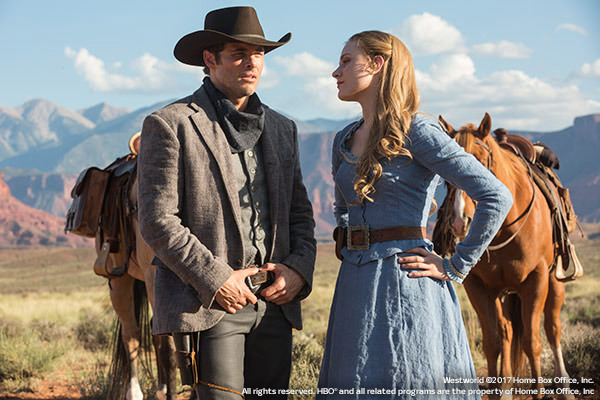 Sky’s eclectic collection of US drama includes everything from arguably the biggest show in the world Game of Thrones® to the critically-acclaimed Westworld. But don’t take our word for it, continue reading to browse the best of the US drama available to Sky and Now TV subscribers. 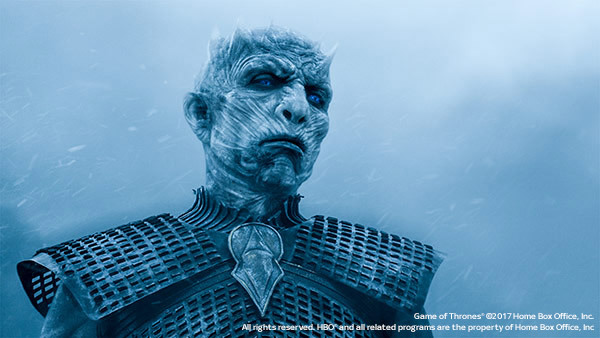 Danaerys Targaryen has returned to her homeland in her quest to win the Iron Throne, but can King in the North Jon Snow convince her of the threat beyond the wall? An ambitious and terrifying virtual reality experience gets a whole lot less virtual, in this J.J. Abrams-produced take on the dawn of artificial intelligence. The Russian mob have gone and the Donovans are back on top in season five – but how long can their good fortune continue when the depths of the Los Angeles underworld return to claim them? 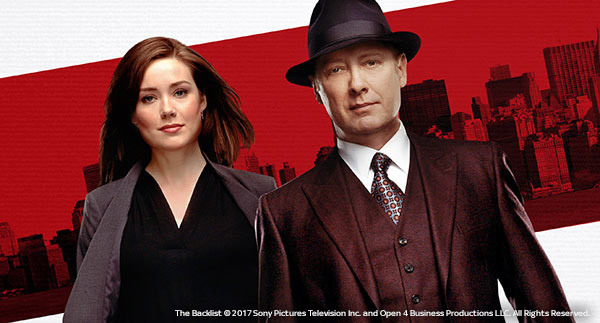 Criminal Raymond ‘Red’ Reddington has evaded capture for decades, until one day he willingly turns himself in and offers his aid in capturing some of the world’s most notorious criminals. His one condition? He will only speak to a rookie agent named Elizabeth Keene. 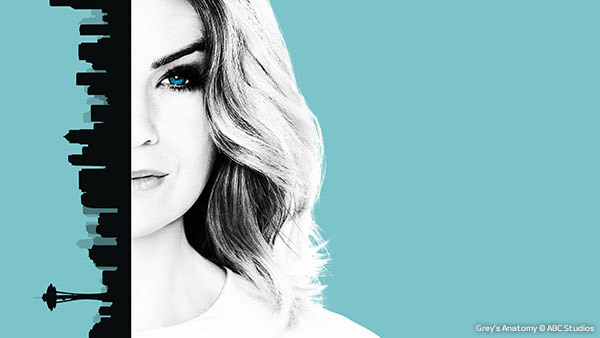 Seattle-based medical drama following the personal lives and careers of a group of doctors at Grey Sloan Memorial Hospital, including Meredith Grey – the daughter of a famous surgeon. Sky Sports Football, the home of 900 live games a year from around the world, has finally arrived. Sky Sports Football is part of a summer shake up at Sky Sports, which puts all the best sporting content on individual specialist channels. It will be an exciting source for football games outside of the top flight, including the EFL, EFL Cup, SPFL, La Liga, MLS, Eredivisie and Chinese Super League. In addition, Sky Sports Football will feature live coverage of all Northern Ireland, Republic of Ireland, Scotland and Wales International Qualifiers. Here’s all you need to know about the new channel, including programming, highlights and how to watch. How can I watch Sky Sports Football? Sky Sports Football is available to watch now on Sky channel 403. New and existing customers can now enjoy the new Sky Sports channels from £18 extra a month. Choose one channel for £18, two for £22, three for £26 – or get it all, plus the brand new Main Event channel for only £27.50 extra a month. Requires Sky TV subscription. See Sky.com for full details. Which live games will be available on Sky Sports Football? What else will air on Sky Sports Football? As the exclusive home of the English Football League, Sky Sports Football will launch a new weekly EFL Review and EFL Goals Shows from August. There will also be brand new shows such as Celtic: The Invincibles and 20 Years of El Clasico. What extras are available On Demand? Footballing fans eager for more about their team can enjoy dedicated On Demand sections for the EFL, SPFL, La Liga and International Football. In addition, weekly goals shows for all EFL leagues will be available to watch On Demand throughout the season. The first channel dedicated entirely to Premier League Football – Sky Sports Premier League – is finally here. 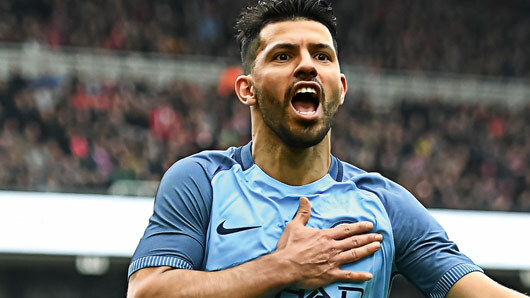 Sky Sports Premier League is part of a revolutionary shake up at Sky Sports, delivering for the first time all the best sporting content on individual specialist channels. Hosting 126 live games (at least 124 of which to be in Ultra HD) as well as exclusive extra content, interviews and analysis; Sky Sports Premier League is a hub for all things top flight football. Here’s all you need to know about the new channel, including programming, presenters, highlights and how to watch. How can I watch Sky Sports Premier League? Sky Sports Premier League is available to watch now on Sky channel 402. New and existing customers can now enjoy the new Sky Sports channels from £18 extra a month. Choose one channel for £18, two for £22, three for £26 – or get it all, plus the brand new Main Event channel for only £27.50 extra a month. Requires Sky TV subscription. See Sky.com for full details. Seasoned Premier League experts Gary Neville, Thierry Henry, Jamie Carragher and Jamie Redknapp are all on the line-up to deliver cutting-edge football analysis. Which live games will be available on Sky Sports Premier League? What else will air on Sky Sports Premier League? Sky Sports Premier League will feature brand new shows such as a Live Launch Show, Chelsea: PL Champions, and PL Icons. The new Nightly Debate Show will begin in August and focus on expert footballing opinion and analysis, led by Sky’s team of former professionals. Gary Neville will host a new throwback series called Gary Neville’s Soccerbox, which will flash back to some of the Premier League’s more memorable battles. A new A League of Their Own Premier League special is also on the cards, where James Corden, Freddie Flintoff, Jamie Redknapp and Jack Whitehall will be joined by Thierry Henry, Jeff Stelling and Kelly Cates. Footballing fans eager for more about their team can enjoy dedicated team sections with match highlights, interviews and documentaries. In addition, there will be 30-minute match highlights from 338 games during the 2017/18 season available On Demand. *UHD: Ultra High Definition only available to customers with a Sky Q 2TB box and Multiscreen subscription (£12 extra pm). Not available on Sky Q Mini boxes or Sky Q 1TB box. Sky Sports required to watch sports and in UHD. Discovery Communications and Sky have resolved the pay dispute that led to Discovery threatening to pull twelve channels from the platform. Shortly before the deal deadline last night (January 31), a last-minute agreement was reached between Discovery and Sky to keep Discovery’s channels on the Sky platform. 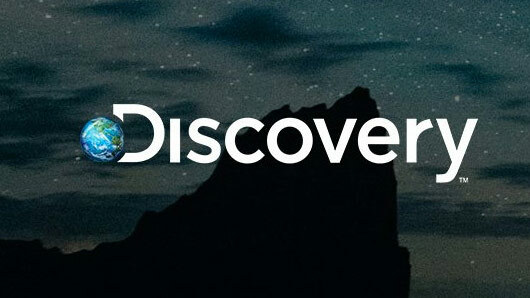 Neither Discovery nor Sky has admitted to backing down on their demands for the deal. Sky said that Discovery “accepted the proposal we gave them a week ago” and that they had not agreed to their increased price demands. 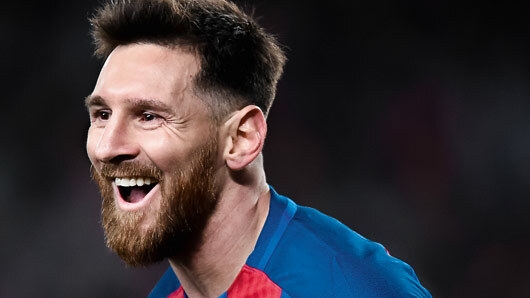 The new multi-year deal means Discovery Channel, Eurosport 1, Eurosport 2, TLC, Animal Planet, Investigation Discovery, Discovery History, Discovery Shed, Home and Health, DMAX, Discovery Science and Discovery Turbo will remain on Sky services, while Discovery Channel will remain on Now TV. 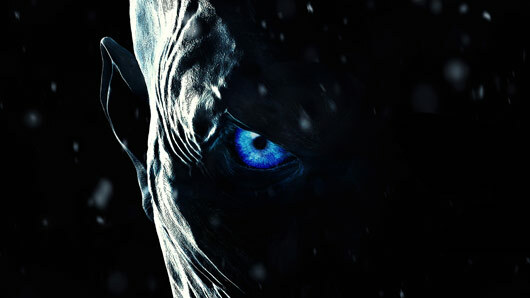 Last week, it was revealed Discovery were threatening to remove their portfolio of channels from Sky after negotiations over a new carriage deal broke down. Discovery claimed they were not being offered a “fair price” for their content, and later accused Sky of using its dominant market position to “further its own commercial interest over those of viewers and independent broadcasters”. They suggested Sky were looking for a way to cut costs after agreeing an extra £314m for Premier League rights in a new deal. Sky hit back with assurances that they too only wanted a “fair price” and never led the negotiation table. They pointed out that Discovery’s share of viewers was down year on year, a fact that contradicted the official statement from Discovery’s portfolio. Sky vs Discovery row: Who is right? Last week, it was announced Discovery Communications’ portfolio of channels would be removed from the Sky platform after negotiations broke down over a pay dispute. 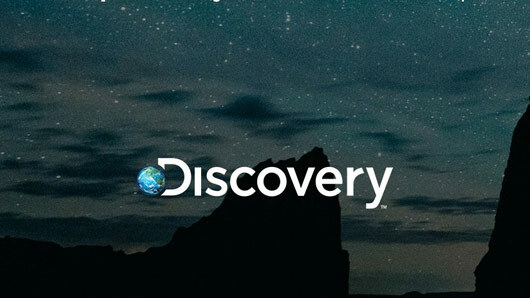 Discovery Communications has thirteen channels available on Sky and NOW TV, including Discovery Channel, TLC, ID, Eurosport 1, Eurosport 2, Quest, Discovery History, Animal Planet, Discovery Shed, Home and Health, DMax, Discovery Science and Discovery Turbo. If Discovery Communications and Sky don’t reach an agreement, the above channels will be pulled from Sky from tomorrow, February 1. The implication is that Sky are looking for a way to cut costs after agreeing a new deal for Premier League rights that will increase costs by some £314m. Sky say they are prepared to pay a “fair price” for Discovery’s portfolio, but must also account for the long-term fall in Discovery ratings. In a statement, Sky said: “We were prepared to pay a fair price for the Discovery and Eurosport channels and invest more in those channels to make them even better for our customers. “We have offered hundreds of millions of pounds to Discovery, a US$12bn American business, but that wasn’t enough. They asked the Sky Group to pay close to £1bn for their portfolio of channels, many of which are in decline. There is some disagreement over the change in Discovery’s viewership over the last few years. In Discovery’s official portfolio, they claim that their viewings share has increased by more than 20% since 2010. According to Discovery, 5.5 million people watch their channels on Sky or streaming service NOW TV. However, Sky claim that Discovery’s linear viewings are down by 15% in the last year and its share of viewing is down 20% compared to 2006. Discovery has not denied this but has pointed out Sky’s overall viewing ratings have declined by 22%. The question is whether this possible decline in ratings is worth a huge reduction in choice for Sky customers. Discovery’s argument that Sky is choosing mainstream entertainment over specialist individual stories remains. Their channels offer many shows unavailable elsewhere, including Cake Boss and Say Yes to the Dress on TLC, Gold Rush and Idris Elba: Fighter on Discovery and the US Open on Eurosport. It could be asked if the money is really an issue, given the average Sky Entertainment bundle including Discovery Channels has increased in price by 50% since 2006. We are living in a golden age of television, but this did not come about in a vacuum. A phenomenal increase in channels over the last decade has led to an enormous increase in competition for viewers. In order to attract viewers, channels must put more imagination, effort and resources into their programming than ever before. In 2017, television fans are watching some of the highest quality programming in decades. It has happened because of an increase in consumer choice. Any moves to inhibit and damage this progress must thus be seen as a move to damage the customer experience. And that is not okay. 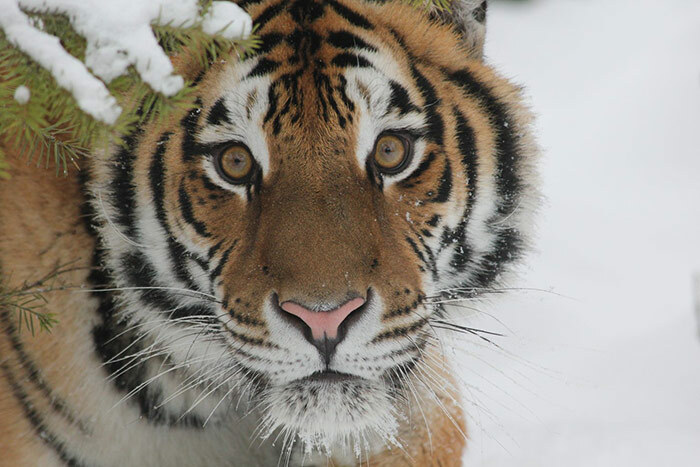 For information on how you can help #KeepDiscovery on Sky, please visit http://www.keepdiscovery.co.uk/. Sky has announced its latest plan to challenge rival Netflix for the telly-streaming crown. Sky will launch their television services without the need for a satellite dish for the very first time in the UK in 2018. The move is hoped to bring Sky TV to the millions of homes currently unable to install a satellite dish. The services will run using only a Sky box and the internet. 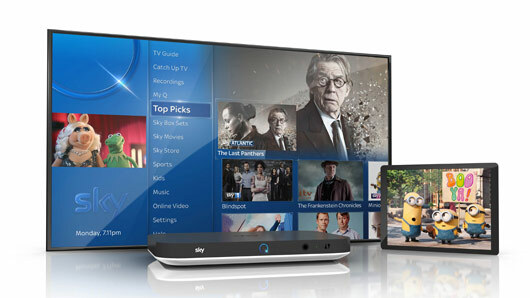 The news comes after a successful launch for Sky Q, Sky’s “next-generation” TV platform, which allows access to all of Sky’s content in one place and on the move. The Sky Q box is now the standard Sky box, with a brand new interface and TV guide, plus the ability to access apps such as YouTube. It’s currently the box of choice for more than 600,000 customers in the UK. According to Sky, the change to Sky Q has already changed Sky customer viewing habits. Sky Q customers are watching 10% more TV compared to those with Sky+. Sky UK Chief Executive Stephen van Rooyen said: “This year is about giving our customers even more quality, choice and value. We’re planning to launch our Sky TV service without the need for a satellite dish for the very first time, giving millions more homes the chance to enjoy TV with Sky Q.
Sky TV will launch without a satellite in 2018. For film and television fans, the sudden urge to climb in through the television screen and join the characters in their adventures is commonplace. Unfortunately, that technology doesn’t yet exist, but the most immersive television experience yet has arrived. For film and television fans, the sudden urge to climb in through the television screen and join the characters in their adventures is commonplace. Unfortunately, that technology doesn’t yet exist, but the most immersive television experience yet has arrived. It’s called Ultra HD, and it’s – hooray! – newly available to normal people like us, courtesy of Sky and their next generation box Sky Q.
Ultra HD, is the latest picture quality with up to four times the definition of HD. This dramatic increase in definition makes for the most spectacular and immersive television experience yet, meaning viewers can observe the smallest details with crystal-clear clarity. Personally, we think Ultra HD is better than actually going outside and looking at things – but then again, the term “couch potato” is popping up in our lives with increasing frequency. Not that it matters, because we won’t be going outside in a long time. Sky has made the widest range of Ultra HD content available to Sky Q 2TB box subscribers. They’re not only offering Ultra HD on a couple of artsy short films we’ve never heard of, but on their humungous library of modern and classic films. In fact, some of this year’s hottest cinematic releases are set to premiere on the service – in, you guessed it, ultra high definition. It means Sky Q users will be the first in the country to experience James Bond’s mission to infiltrate the enigmatic criminal organisation known as Spectre in a show-stopping 8.3 million pixels. 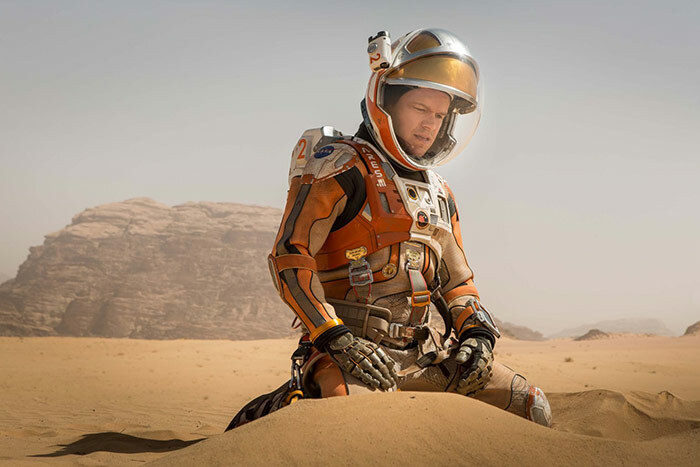 There’s also the opportunity to see the sensational Patagonian scenery in all its glory on Oscar-winning The Revenant, travel to Ridley Scott’s magnificent vision of life on Mars in The Martian or witness every shocking detail of the terrifying Cold War in Steven Spielberg’s Oscar-winning Bridge of Spies. It’s not just a party for film fans, however. Sky will also broadcast brand new and original television drama, including the Paolo Sorrentino’s eagerly-awaited papal drama The Young Pope, starring Jude Law, in Ultra HD. For documentary lovers, there will be more than thirty hours of award-winning documentaries also available in Ultra HD. This is probably as close to reality as our dreams of actually accompanying David Attenborough to the depths of the rainforest are going to get. It’s likely safer, too. Sports fans will be able to take a seat in the stands without leaving the house with 124 Premier League games and every Formula 1 race from 2017 available to watch in Ultra HD. Ultra HD is available to Sky Q 2TB box subscribers though does require a television that supports Ultra HD. If you’ve got all this, you tune into the stunning visuals of Ultra HD by going into the box settings and selecting 2160p resolution on the audio visual set up. It’s probably the most immersive cinematic experience us normal people are going to have at home until technology giants finally perfect their affordable virtual reality devices, and we love it. Find out how to get the UK’s widest selection of stunning Ultra HD content by visiting Sky. The Sky Kids app has been updated to allow users to download content to watch offline. From today, the Sky Kids app will allow customers with Sky Go Extra or Sky Multiscreen to download their children’s favourite television shows to watch on the go. These shows can be watched without internet access, and thus are perfect for long summer car journeys with the kids. Sky has said they are pleased with the response to the app, which launched earlier this year. Hundreds of thousands have already downloaded Sky Kids, streaming over 15 million episodes of children’s programming. The new update will also include a Sleep Mode feature for parents to set limits on how much time children can spend on the app, and what times they can use it. This is to help parents out with maintaining bedtime schedules and staying in control of their children. Children will receive a five minute warning that sleep time is scheduled to occur, and five minutes later their Sky Buddy will appear on the screen to rest. Sky Kids is available to download on tablets from Google Play and the Apple App Store. Sky has announced it will be working with Academy Award, BAFTA, Golden Globe and Emmy winners to create six new original dramas to air later this year and in 2017. 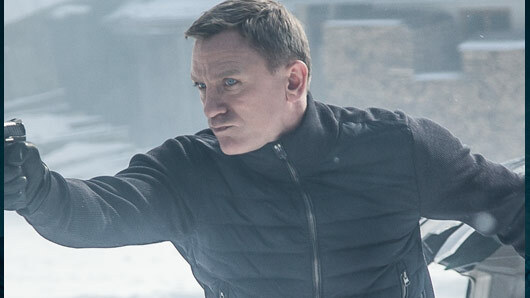 Stars such as Idris Elba, Dawn French and Julia Stiles are confirmed to play leading roles in the upcoming dramas, which will see Sky build on the success of last year’s original programming, which included critical and ratings success stories such as The Last Panthers and Stan Lee’s Lucky Man. 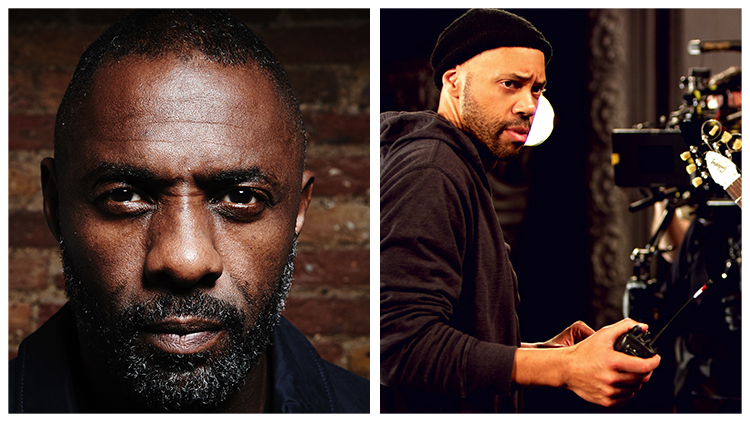 The six new originals include Guerilla, which combines the talents of Oscar-winning writer John Ridley with Golden Globe winner Idris Elba for a love story set in 1970s London – a capital city in the midst of political chaos. It will tell the story of a politically active couple’s descent into radical militancy after they free a political prisoner. Elba will co-star and produce, while Ridley will write and direct episodes. The series is a co-production by Fifty Fathoms and ABC Signature. Next on the slate is Tin Star, the story of a small town’s descent into corruption, which is set to star BAFTA award winner Tim Roth alongside the Emmy-nominated Christina Hendricks. It follows a retired police detective who moves to the Rocky Mountains to start a new life in the idyllic rural community, but quickly learns what he believed was a paradise has become overrun by drugs, prostitution and organised crime due to the opening of a new oil refinery in the area. Tin Star will be produced by the makers of Broadchurch and Humans, Kudos. 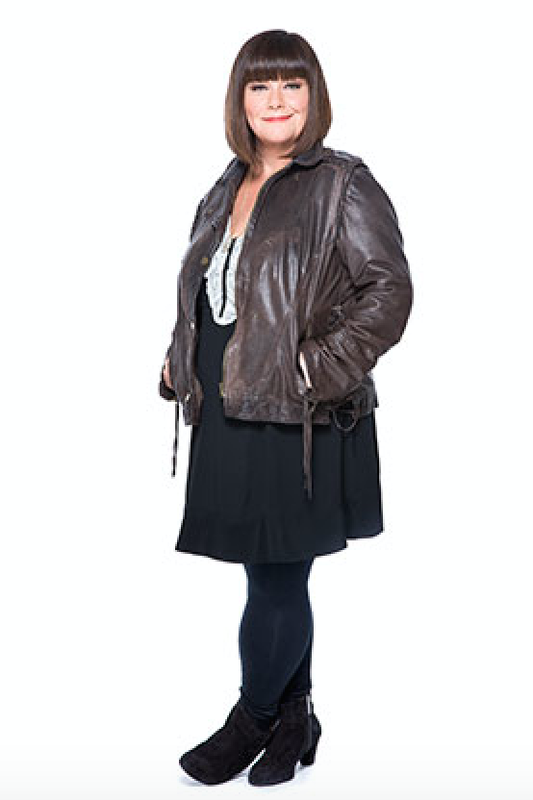 Dawn French will lead the cast of a new story for Sky 1 about love, food and infidelity in the stunning countryside of Cornwall in Delicious. French stars as Gina, a chef who was once married to the successful entrepreneur, chef and hotelier Leo Vincent. Leo has since accrued a lot of his wealth due to Gina’s influence and shares the fruits of his labour with new wife Sam, with whom Gina becomes friendly with. However, Leo is keeping a secret that may put all three of their lives into jeopardy. Delicious will be produced by Bandit Television. Julia Stiles will star in Riviera, a glamorous new Sky Atlantic thriller from the mind of Academy Award-winning writer and director Neil Jordan. Set in the world of the ultra-rich, Stiles will play Georgina, the new wife of a billionaire. When her husband dies in suspicious circumstances, Georgina is horrified to learn that much of her husband’s fortune came from criminal activities and his death has left her in charge of maintaining his assets. Overnight, she inherits her husband’s mansion, family and vicious rivals. To survive, she must learn the ways of a criminal – and fast. Riviera will be produced by Archery Pictures. The producers of Downton Abbey, Carnival Films, are back with this Western-themed series Jamestown for Sky 1. Set in the seventeenth century, Jamestown is the story of a group of young British women who make the journey to the New World and leave their old lives behind. They must battle confused locals and quickly adjust to their new lives on the other side of the world. Ultimately, these women will become the pioneers of a new way of life as they search for love, power and adventure. Game of Thrones star John Bradley will star in a spectacular new Sky 1 drama The Last Dragonslayer, scheduled for Christmas 2016. Bradley, Ricky Tomlinson and Ellise Chappell will lead the cast in the adaptation of the first of Jasper Fforde’s critically-acclaimed fantasy novels, which are about orphan and titular Dragonslayer Jennifer Strange. The Last Dragonslayer is magical new series, which will build upon the success of last year’s Fungus the Bogeyman. It will be produced by Blueprint Pictures and GroupM Entertainment. The six new shows will join the existing eight original Sky dramas scheduled to air in the next few months, including returnees Penny Dreadful, Fortitude, Stan Lee’s Lucky Man and Agatha Raisin as well as new or currently airing series The Tunnel: Sabotage, The Pope, Harlan Coben’s The Five, Hooten & The Lady and Jane Seymour. Today it was announced that connoisseurs of cool VICE Media will be partnering with Sky to offer brand new channel VICELAND to Sky and NOW TV customers. Launching in the UK & Ireland this September, the 24-hour channel will be programmed, developed and produced entirely in-house by VICE’s creative team, including Oscar-winning filmmaker Spike Jonze as co-president, and will be available for all Sky TV customers in their basic TV subscription packages either live, on demand or on the go through Sky’s mobile TV service, Sky Go. We’re far too impatient to wait til September, so here’s a sneak peek at some of the exciting original programming VICELAND has in store. Veteran VICE journo and straight up cutie pants Thomas Morton goes all Louis Theroux by hanging out with some of the world’s strangest subcultures and giving their lives a try. In episode one, entitled “Tent Preachin'”, Morton heads to Arkansas to see how the holy spirit stacks up against secular temptations like drugs, movies, and sleeping in on Sunday. Watch it here. You won’t want to be watching on an empty stomach as foodie rapper Action Bronson goes on a mouthwatering food odyssey with the help of his friends and collaborators Meyhem Lauren and Big Body Bes. In episode one, Action is on the road touring to support his album, Mr. Wonderful. With stops in DC, Atlanta, and Miami, he manages to eat in the hottest restaurant in the country, sample true southern BBQ, and learn how to make a new bay scallop and papaya dish. Watch it here. Filmmaker Lance Bangs (who’s famously directed music videos for the likes of Sonic Youth, Nirvana, Green Day and Kanye West) explores the underground circuit of broke young comedians, documenting their network of couches and the stand-ups that crash on them. Episode one entitled “Thunderstorm at Babe Island” kicks off with stand-up comedy in a backyard with Clare O’Kane, James Adomian, and more. Watch it here. World’s most likeable young actress Ellen Page and her best friend Ian Daniel set off on a personal journey to explore LGBTQ cultures around the world. From Japan to Brazil, Jamaica and America, Ellen and Ian discover the multiplicity of LGBTQ experiences, meeting amazing people and hearing their deeply moving stories of struggle and triumph. First up the duo hit Japan, embarking on a journey which includes getting friendship-married at a Buddhist temple and joining the party in the world’s smallest gay bar. Watch it here. We fans of Fresh Off the Boat have long wanted to know more about the real Eddie Huang, whose childhood provides the basis of the hit family sitcom. Now, Eddie’s travelling around the world, meeting all types of people and sampling their food, believing that national cuisines provide a distillation of history, culture and identity. Judging by the trailer, we even get to meet the famous Jessica and Louis Huang. Oooh er! Noisey has always been our go-to for on-the-pulse music journalism, and this new show promises to bring us a first-hand look at the cultures and artists behind some of the world’s most compelling music scenes. In episode one, “Bompton”, Zach Goldbaum travels to Compton to meet Kendrick Lamar and the friends he grew up with, many of whom are members of the notorious Piru gang. Watch it here. VICE correspondent Krishna Andavolu explores our heady times by meeting the people whose lives hang in the balance of the new pot paradigm. Provocatively titled first episode “Stoned Kids” looks at the families whose children have life-threatening cancer, and are taking matters into their own hands, getting their kids super stoned on medical marijuana in the hope of saving their lives. Watch it here.